We all mess up. We all make mistakes. However, if you want to move from DREAM to DO in what matters most to you — if you want to live it forward in your life, career, business, or leadership — you must learn the secret to failing up. Failing up is defined as spiraling upward by learning from your mistakes. This is not what most people do. Most people spiral downward after failure. Yet failure, if navigated correctly, can lead to success because it provides a front row seat to some of life’s greatest lessons. These lessons, once learned and implemented, open up the doors to great opportunities. This is what it means to spiral up, and it’s how you turn a failure into success. Here are 3 steps that will help you fail up the next time you make a mistake. When you mess up, take time to FEEL YOUR FAILURE. Don’t just move on and forget it. And don’t try to run away from it. Stop and really feel the weight of your mistake. What emotions do you feel? What thoughts are racing through your mind? Additionally, step into the shoes of the people you have disappointed. What are they feeling? What are they thinking? It’s important to feel our failures because blowing off a mistake puts us in a dangerous position. When we mess up, it impacts a lot of people. It impacts us individually. It impacts our families. It impacts the people we lead. The more we understand the damage our failures cause, the more motivated we are to learn from our mistakes. Failing up requires you to feel your failure, but don’t get stuck there. This will cause you to spiral downward instead of upward. Instead, take the second step in moving from failure to success: FIGURE IT OUT. Valuable lessons are often wrapped in bad decisions. If you try to move beyond your mistakes to quickly, you’ll miss the lessons that will help you spiral upward. The goal isn’t to just get through the failure, you want to learn from the failure. Some of the best opportunities I’ve experienced to FORGE AHEAD in life and business have followed failures. For instance, as a child I had a major learning challenge (some people called it a disability, I called it a challenge). When I entered third grade, I couldn’t read. By middle school, I was considered “at-risk.” To make a long story short, in seventh grade I made a major mistake that landed me in the principal’s office. As the administration was determining whether to suspend me, an educator shared one success principle with me that changed the trajectory of my life. It took several years to implement what I learned, but I look back at that specific moment as the pivot when changed everything for me. Additionally, my wife and I just celebrated 26 years of marriage. Kathy and I have a wonderful relationship and are committed to growing closer no matter what circumstances we face. Interestingly, the start of our relationship followed a relationship I was in that didn’t work out. It was through the mistakes I made in this previous relationship that I learned many important lessons for growing a healthy marriage. Finally, I would not have started Live It Forward (the business I own) if it wasn’t for the biggest career mistake I ever made. From this devastating mistake, I figured out what type of work best fits my vocational calling. Never waste a good failure! Yes, a mistake is painful, but don’t rush through it. Learn from it by feeling it, figuring it out, and then forging ahead. These three ideas will help you FAIL UP so that you can move from DREAM to DO in your life, career, business, and leadership. 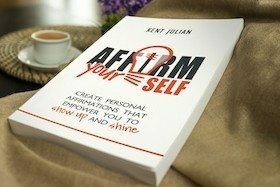 Do you want to spiral up towards more abundance, joy, and success? 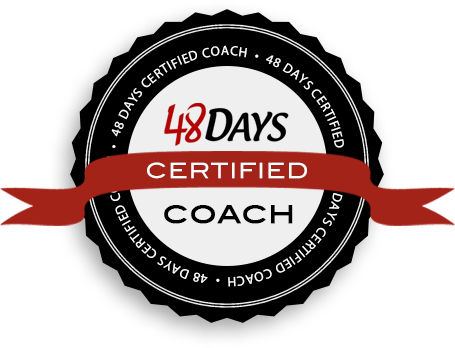 Do you want to move from DREAM to DO in your life, relationships, career, and finances? 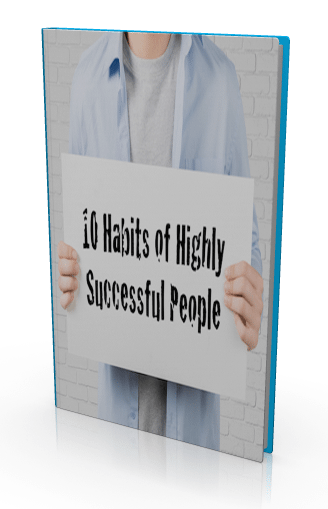 Then click on the image to get your copy of the FREE 5-Minute Guide: 10 Daily Habits of Highly Successful People.